The only requirement for becoming a Christian is to be a sinner! What? Yes, only sinners need a savior. 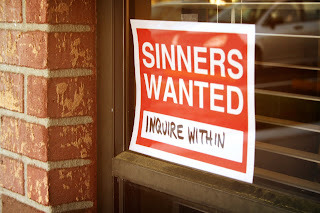 So, a sign at a church could be “Sinners wanted, Inquire within”. their tongues slick as mudslides. They never give God the time of day. God’s grace is all-powerful and amazing. There isn’t a sinner God can’t love. There isn’t a sinner God can’t forgive. There isn’t a sinner that God would not be calling home. But what to do? In some ways, the Icelandic volcanic ashes reminds the whole world of God’s call for repentance. We need to turn around and get back to God. We need to repent and ask for forgiveness. things we’ve done or left undone. Forgive us putting us first and you second. Guide us back to life. Guide us back to live life according to your will. Guide us to live in your grace. 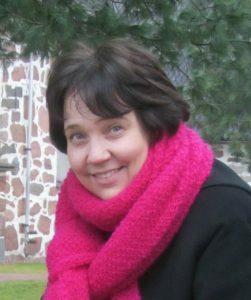 Q4U: Do you think the Icelandic Ashes is a call for repentance? Blessings to you as you renew your commitment to God!